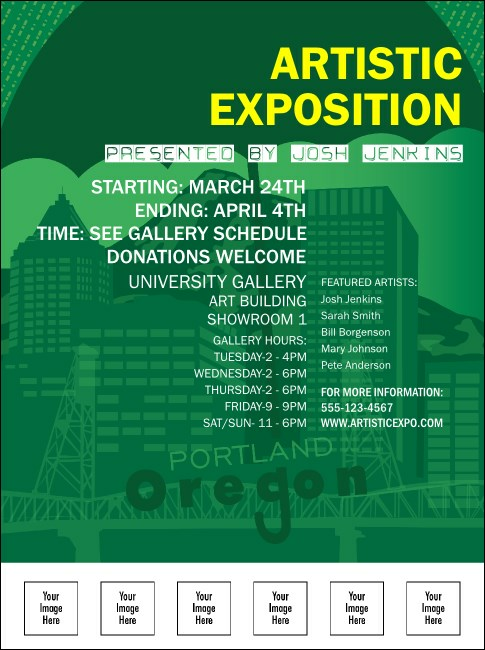 The whole city should know about your event and the Portland Flyer is a great way to get the word out! Printed in a pretty green, the flyer features the image of an umbrella, the Hawthorne Bridge and views of downtown. There’s plenty of room left to upload six custom images of your sponsors or performers. For more great ideas for your Portland hosted event, check out the matching designs at TicketPrinting.com.